The Vitasalus RO-Master™ Whole House Reverse Osmosis Water Purification System is one of the highest quality and most affordable RO systems available on the market. The RO-Master™ Whole House Reverse Osmosis System is engineered to efficiently, effectively, reliably and economically produce high purity water while providing the flexibility to choose other system features to meet your specific needs based on your particular water conditions. The RO-Master uses pressure to force the source water through the advanced RO membrane which separates pure water molecules from impurities, therefore, producing water that is clean, fresh and "pure". The RO-Master™ is manufactured using the highest quality components and materials for exceptional durable performance and reliable operation. This premium-quality RO system is designed to provide homes and offices with laboratory grade water, and membranes that provide years of service between changes. Unlike many other RO systems on the market, our high-efficiency RO system significantly minimizes wasted water. Before ordering your RO-Master™, we suggest that you contact us to discuss your specific water conditions to determine if any additional systems will be necessary to properly address the particular conditions of your source water. We will recommend additional systems in order to help you protect and/or achieve optimal performance and benefits from your RO-Master™ system. pH Neutralizer™ System: We seriously recommend that our pH Neutralizer™ System be installed after the RO-Master™ system since the reverse osmosis process "takes everything out of the water" creating a pH imbalance or a "hungry water" condition. Our pH Neutralizer™ System neutralizes the pH of your RO processed water protecting your plumbing lines and fixtures from potential harm and making it healthier for human consumption and your body. PureMaster™ V-500 Whole House Water Filtration System: If your source water contains more than 0.1ppm of Chlorine, we generally recommend our high-quality PureMaster™ V-500 Water Filtration System be installed before the RO-Master™ system. This is extremely critical in order to protect and prevent damage of the RO-Master™ system's RO membrane. 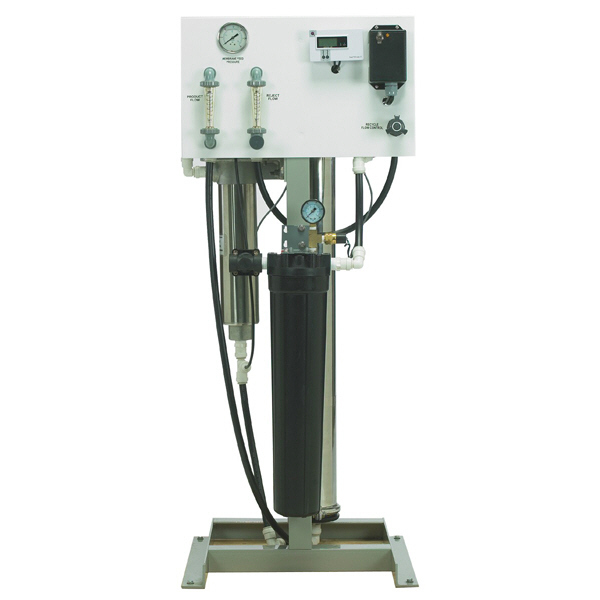 Our PureMaster™ V-500 Water Filtration System is designed to remove up to 99.99% Chlorine from your source water. If you have any questions or need any help, we recommend that you call us (Toll-Free) 1-877-284-5042 or (Outside U.S.A.) 248-585-8815 for a FREE Phone Consultation or Contact us via email and communicate your specific water conditions with one of our Water Filtration & Treatment Specialists. We will immediately provide you with straight-forward answers and/or high-quality, affordable options to fully and properly address your specific water conditions. PLEASE NOTE: We provide a wide range of Reverse Osmosis systems, for Residential, Light Commercial and Heavy Commercial, ranging from 600gpd to 18,000gpd. If you require a Commercial RO system that produces between 3,000gpd and 18,000gpd, please call us for more information.